Want to know some of the pitfalls that are waiting to derail you in your Human Resource recruitment efforts? Human Resource recruitment is the process of identifying the need for a new employee and then, finding, interviewing, and hiring the appropriate employee. Recruiting a new employee requires planning and proper execution to ensure that your organization ends up with well-qualified, committed, engaged employees. The process of recruitment involves a significant investment of staff time and energy during the selection process. There are a number of potential roadblocks that can undermine your recruitment efforts. Here are common challenges you will experience. Human Resource recruitment requires planning and careful execution. This is an overview of the factors that an organization must get right to hire superior employees. Doing any of these recommendations wrong during recruiting will result in less than superior employees. Human Resources staff wish that it were as simple as, these are the top five errors to avoid, but, it's not. Heed this advice for successful recruitment. Do you know who you are hiring? Always make it your policy to review each resume, cover letter and job application that you receive with care. In one recent article, the author discovered that 53% of job applications have inaccurate information and 34% contain outright lies about education, experience, and the ability to perform. You want to ensure that the candidates you consider hiring are who they say they are and that their credentials are valid and match your needs. Do you know the resume and cover letter red flags that should catch your attention as you review applicant resumes during your Human Resource recruitment? These red flags are the mistakes, errors, and indicators that give you needs about the individual who is applying for your open job. Employers ignore these red flags at their own risk. They are early indicators that your potential employee may not be ​who you expect. Want another Human Resource recruitment tool to help you review applications? Review of the cover letter, for many reasons, is a telling component in your application review process. Want to know the cover letter red flags that should capture your attention when you review an applicant's cover letter? Sent with the resume when a job searcher applies for a job, the cover letter enhances the credentials of a qualified applicant—or not. Find out the red flags that should capture your attention in cover letter review. Hiring decisions that result in bad hires sap your organization's time, training resources, onboarding, and mentoring resources, and injure employee engagement and morale. 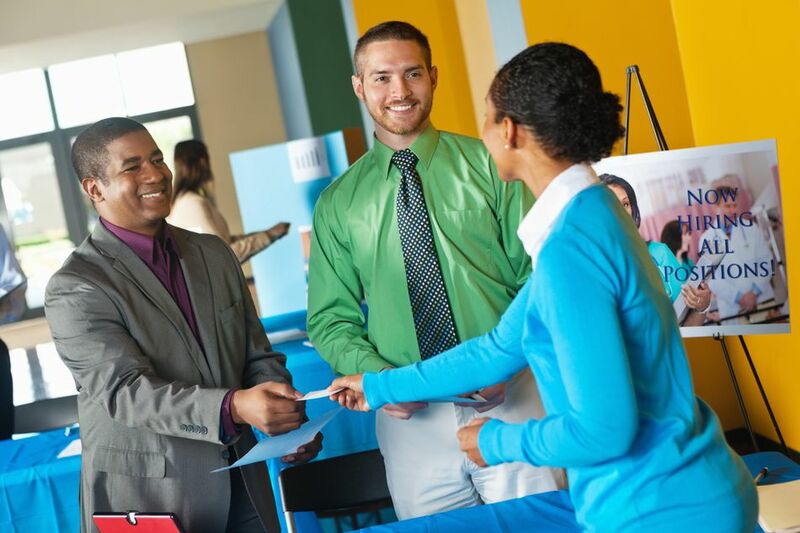 During Human Resource recruitment, these are the top hiring mistakes to avoid. Do these eight activities with care during your Human Resource recruitment; your recruiting, interviewing and hiring practices will result in better hires. Do you know that prospective employees are focused on getting the job? From lies to insincerity, candidates exhibit the qualities, experience, and characteristics that they think you want to see. This is because they don't get that an interview's purpose is to see if the potential employee and employer are a good match. You can pick up clues during interviews if you know what you are looking for. Here are tips to use to assess your candidates' participation in needs so that you avoid a bad hire. Need more red flags that you should pay attention to during interviews with prospective employees? At this stage of your recruitment, you need a checklist about how to interview prospective employees. Actions and responses by the candidate are immediate red flags that should affect your hiring decision. When you heed the obvious red flags, the candidates you select are more likely to succeed in your employment. The opposite of any of these nine Human Resource recruitment tips will result in bad hires for your organization. Bad hires are people who sap your organization's energy and resources. From legal implications to hiring for today's needs and tomorrow's vision, these Human Resource recruitment tips will help you avoid bad hiring decisions. Think resume checking and candidate background checking are a poor use of your time? Think again. During times of challenge in Human Resource recruitment, checking the background and credentials of your potential employee becomes even more important. Fraud is rampant. Some job searchers are desperate. Employers are being duped. Why not find out those less than stellar facts about your favorite candidate before you've come to own him, love him, train him, and integrate him into your company, only to find out later that his credentials are fraudulent?